Follow along with CrossBreedLIVE as we cover the following topics this week, and feel free to ask any questions that you may have. Don't forget to visit Crossbreedholsters.com to save with our HUGE Halloween Sale! Now through 11/1 save 30% off orders over $150 and 20% off all other orders. 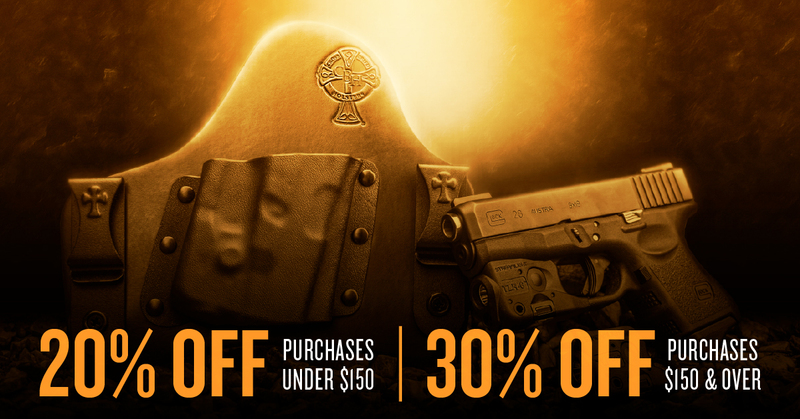 This is our biggest sale yet, so don't pass this by. The OWB DropSlide by CrossBreed® combines the best qualities found in the original Snapslide and the popular SuperSlide. The DropSlide features 1 ¾” belt slots that work well with 1 ¼” and 1 ½” belts and is designed to keep your firearm tight against your body. The leather backer has been reconfigured to accommodate a different position of the pocket allowing for a lower riding holster. The specially designed cut of the leather backer allows for a full grip on the firearm when drawing and extended leather on the bottom side to keep most longer barrel firearms from rubbing against your clothes and body. No matter what CrossBreed® OWB holster you choose, you are sure to have a comfortable, secure carry easily concealed with just a cover garment The DropSlide is available in our Black Cowhide, Tan Premium Cowhide and our Natural Tan Horsehide when available. **Holsters made for handguns equipped with slide mounted electronic sights will come in the straight drop orientation (No Cant)** The DropSlide by CrossBreed® comes with a two week try it free guarantee and a lifetime warranty. 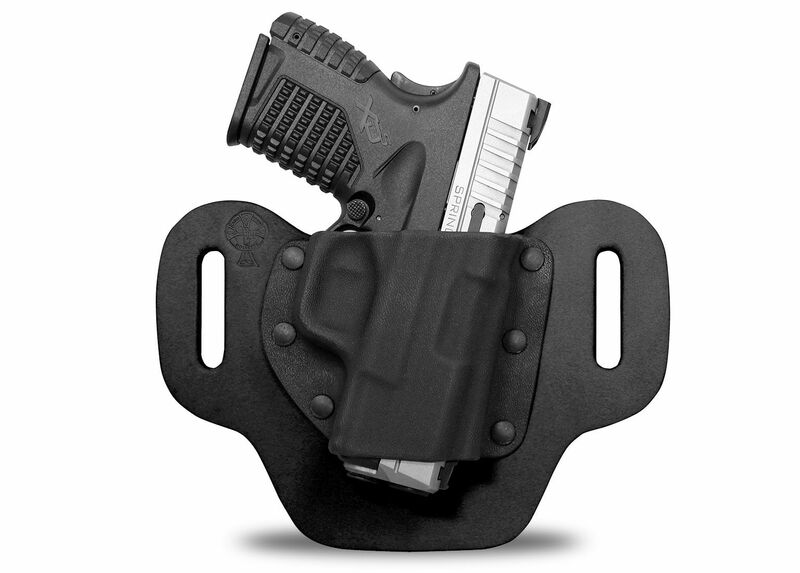 The SnapSlide is an outside of the waistband holster designed to keep your firearm close to your body. 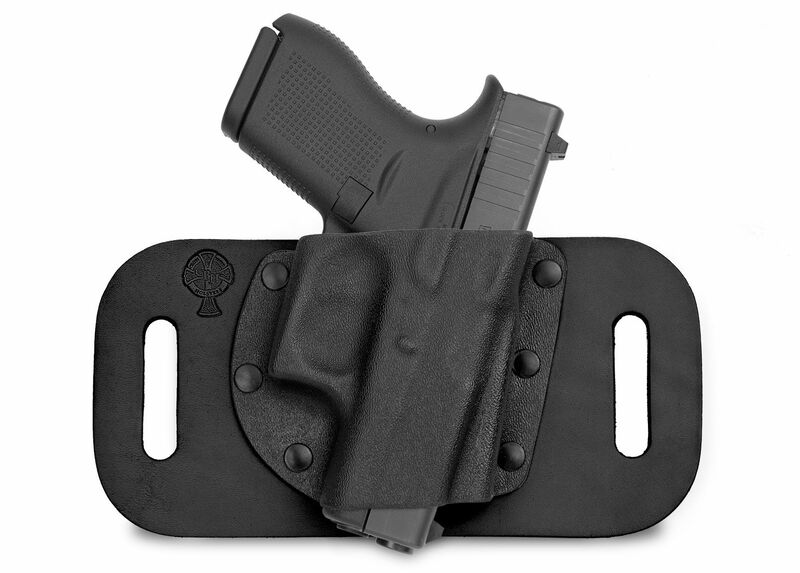 This belt slide-style holster has belt slots that measure 1.75 inches; this works best with a 1.5 or 1.25 inch belt. The design is to have your firearm high and tight, just behind the hip on your strong side, and lay flat for concealment under a loose shirt. Available in our Black Cowhide, Tan Premium Hard Rolled Cowhide and our Natural Tan Horsehide when available. Other options include a Sweat Guard or Sweat Guard with Combat Cut. **Holsters made for handguns equipped with RMR will come in the straight drop orientation (No Cant)** As with all of our hybrid holsters, the SnapSlide comes with a two week try it free guaranty and a lifetime warranty. On this episode of CrossBreedLIVE we are discussing a some great topics, including changing your carry method for the colder months, our new Modular and OWB light bearing holster releasing soon, and a great deal by CrossBreed®.